Celebrating the life of Richard P. Hastings, Jr.
Obituary for Richard P. Hastings, Jr.
Richard. 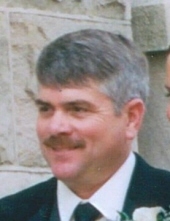 P Hastings, Jr., 63, of New Holland formerly of Coatesville died Thursday, February 7, 2019 at Zerbe Sisters Nursing Home after a long illness. Born in Coatesville, he was the son of the late Virginia Howard Hastings and Richard P. Hastings of Downingtown. Rick was a 1973 graduate of Coatesville Senior High School and went on to earn an Associate’s Degree in Forestry. Rick was a Nascar enthusiast and enjoyed hunting. He was a volunteer fire fighter with Brandywine Fire Company. He worked at Lukens Steel Co, tree trimming, paving, and most recently truck driving. In addition to his father, Rick is survived by his brother, Scott (Debbie) of Downingtown and his sister, Marilyn Mowday of Downingtown. Rick’s funeral services will be private. Memorials in Rick’s honor may be made to Philly Cure HD 2815 Edge Hill Rd. Huntingdon Valley, PA 19006 phillycurehd.org. To send flowers or a remembrance gift to the family of Richard P. Hastings, Jr., please visit our Tribute Store. "Email Address" would like to share the life celebration of Richard P. Hastings, Jr.. Click on the "link" to go to share a favorite memory or leave a condolence message for the family.